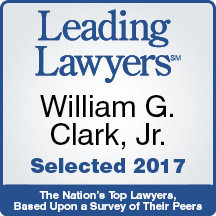 The Law Offices of William G. Clark, Jr. & Associates has the experience when it involves senior citizens who are divorcing. For seniors who get divorced it is all about their immediate and future financial security. There are no issues involving custody or child support as the children are all adults. Instead, the issues are focused on whether the house is kept or sold, pension and 401k distribution, social security benefits, distribution of other assets and spousal support. The financial issues are so important because if both persons are retired the likelihood that either person will create any new income or assets is small. Even if one person is still working, they can choose to retire and their earned income will cease. In most cases where the couple has been married for a long time, the unwritten presumption is that marital assets will be divided equally. While there are exceptions, if the couple has raised a family together and both spouses have worked or even if one spouse stayed home and raised the children, most judges will want to make sure that neither person is left as a result of the divorce impoverished while the other person has much greater assets. Therefore, the retirement benefits will most likely be divided equally. If the working spouse has already retired and has chosen a pension option that does not provide survivor benefits, other than life insurance or a larger share of assets, there is not much that can be done to protect the non-working spouse. Even life insurance may not be an option if it does not already exist because of the high cost and difficulty of obtaining a policy late in life due to pre-existing medical conditions. Another major concern is the disparity between each person's social security benefits. It is important for your attorney to be aware of the amount that each person is receiving or is estimated to receive so that adjustments can be made to make sure both persons will have adequate income for their daily living expenses. If there are enough assets, it is possible that one person may keep the home as a trade against similarly valued other assets. However, if there are not enough assets of similar value then the home will usually be sold and the net proceeds from the sale will be shared. Sometimes the children take sides in their parents' divorce and this can also cause emotional strain. Even though the children are adults, if at all possible, try not to involve them and make them choose which parent they are helping. For help with your concerns as a senior citizen facing divorce or separation, then please call The Law Offices of William G. Clark, Jr. & Associates at (312) 329-0830.